Wow, and they were good. You know how 40's the new 30? 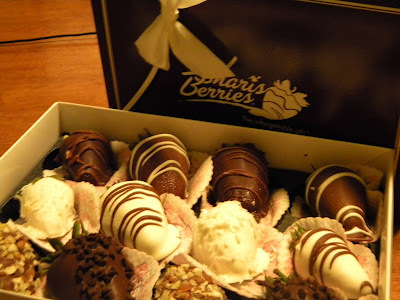 Well, gourmet chocolate covered strawberries are the new caramel apple. God's fruity perfection smothered in man's best attempt to imitate it. Scrumptious. When they arrived on Friday, Mike was afraid to wait until Sunday to open them, so we split the difference and opened them on Saturday. He warded off the kids who wanted to hone in on my gourmet gift. He should have protected it from them, too. After all, it was a gift for me and it was Mother's Day. And being the submissive wife that I am, I followed his lead...I'm sad to say. Reagan got a few bites, and Mike shared one or two with me, but for the most part, I hoarded them. I didn't give a whole strawberry to anyone else to enjoy. 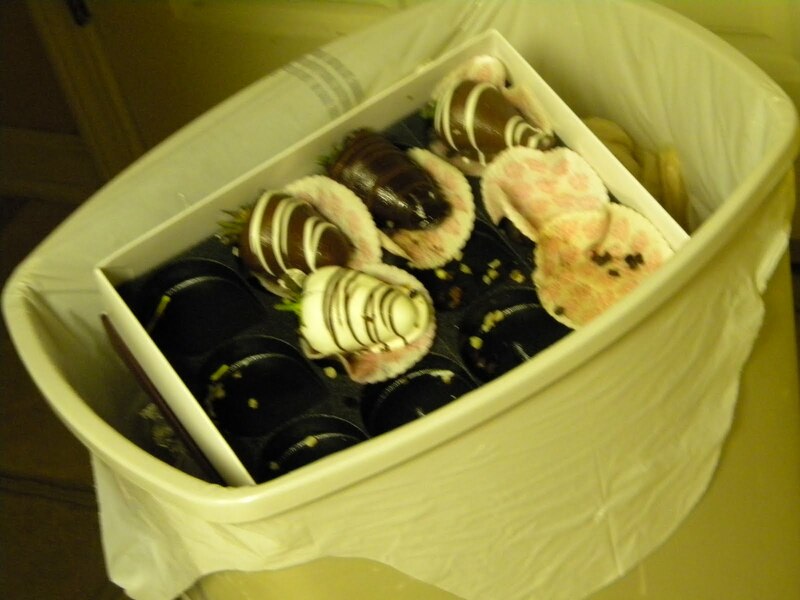 By today there were still five left from the dozen. When I took a bite from one this afternoon, I could taste the tangy tell-tale flavor of fruit beginning to rot. Almost half of my gift went to waste, all because I was selfish. I denied sharing a beautiful and bountiful gift with the givers, whom I love most in this world. I did that. I wanted those strawberries all to myself. from one of your kids. mine do the same thing.